The expanding oil spill in the Gulf of Mexico has the potential to become one of the worst ecological disasters in our nation’s history. Aquarium staff members have already been asked to assist with animal rescue efforts by the National Oceanographic and Atmospheric Association (NOAA) Incident Command Center if it becomes necessary. They are on call and waiting to be assigned to field locations in Louisiana, Mississippi, Alabama and Florida. Here in Boston, the Aquarium has been working with media outlets to provide information about the effects of oil spills on marine animals, and our animal rescue facilities are being prepared to receive new patients from the Gulf Coast if the need arises. 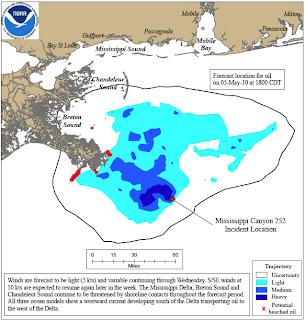 The current oil spill coverage estimate from www.noaa.gov. Before the disaster, the Aquarium had planned to send up to 15 of our rescued and rehabilitated sea turtles to New Orleans to be released into the Gulf. Those plans have changed significantly. Today the Aquarium's Marine Animal Rescue Team is working with NOAA to coordinate a larger release of rehabilitated sea turtles in Virginia. This larger release is designed to open up animal medical facilities in anticipation of injured sea turtles arriving from areas affected by the oil spill. This year the Aquarium treated more than 100 rescued sea turtles. Several endangered Kemp's ridley sea turtles have already washed up dead on the Gulf Coast. As of now, there is no evidence linking these turtles to oil-related issues, and it is important to note that this is typically a busy time of year for sea turtle strandings in that area. However, once the first documented oil-related sea turtles strand, we anticipate the staff from the Aquarium's Marine Animal Rescue Team may be deployed to rehabilitation centers in the Gulf. The Aquarium's Marine Animal Rescue Team is trained and experienced in treating injured dolphins (left) and seals (right). In addition to their turtle expertise, the Marine Animal Rescue Team has been asked to help with injured marine mammals. There are dolphin populations residing in the oil spill zone, and the Aquarium's staff has experience in collection, health monitoring, supportive care, transport and satellite tagging of these animals after decades of stranding work and the rehabilitation of multiple species of dolphins and porpoises here in New England. The Aquarium has received many calls of support for the Gulf states from members of the New England community. Right now, potential volunteers are being directed to request volunteer information using the BP hotline: 866-448-5816. As we have learned over the last several days, this is a rapidly developing situation. 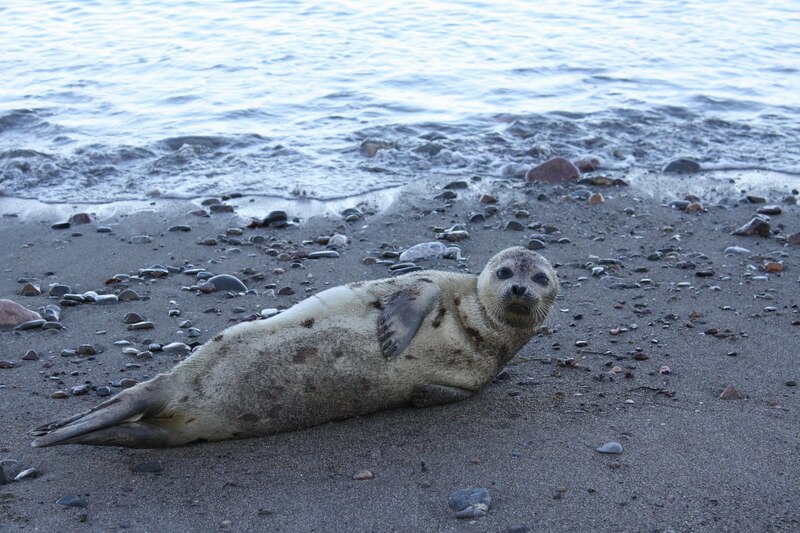 The Aquarium is participating in regional animal stranding meetings and staying in close contact with NOAA. 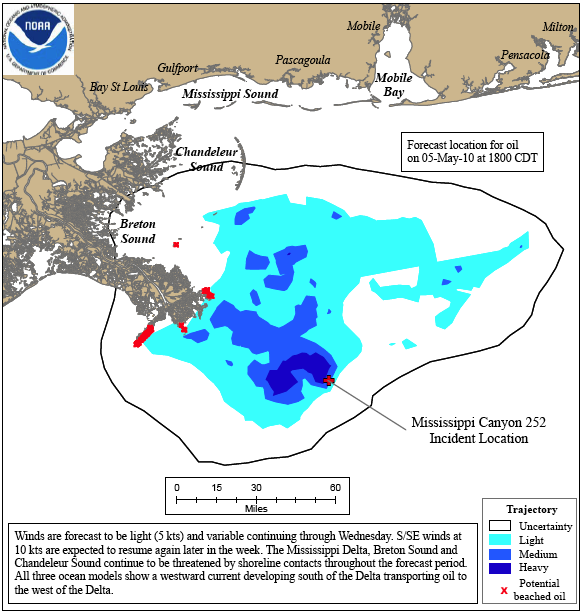 There will likely be many more updates as the oil spill makes landfall. We expect that this will be a challenging time for our oceans, and for the animals that rely on a healthy Gulf environment. The Aquarium's rescue team will be posting updates on their blog as they learn more about the coordinated response.